Pistachio products are a bit yummy aren't they?! 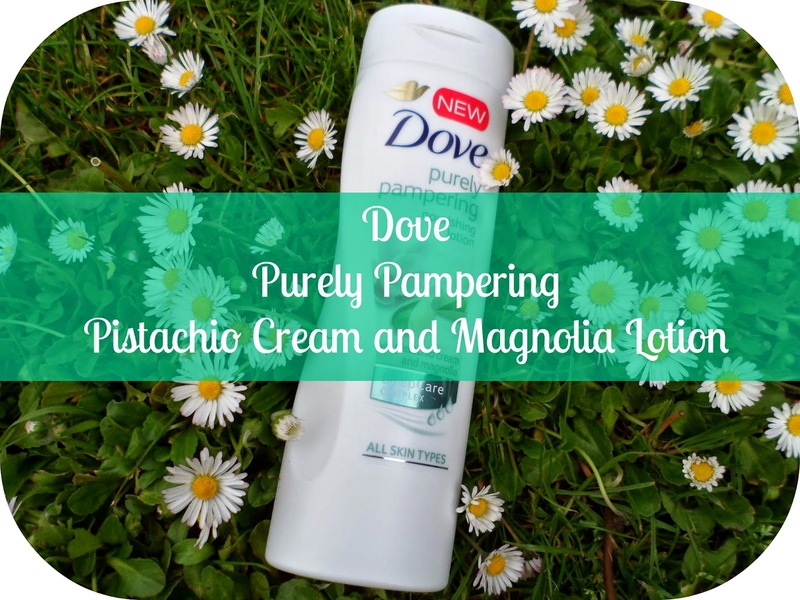 There aren't actually that many (that I know of) out there on those drugstore shop floors, so when I saw that Dove were releasing a new member of the purely pampering family with pistachio cream and magnolia I knew I had to try it out. Now I have been trying to get my hands on this for weeks and weeks after seeing a post about it somewhere and I just couldn't find it! So when I strolled into my local Suerdrug recently and spotted it on offer for only £1.99 (I think that's half price) I nearly had a mental excitement breakdown! I have been LOVING this stuff! I have been popping it on every morning (and sometimes in the evening too) which is not like me at all... normally my limbs are lucky if they see lotion twice a week...I know teribble aren't I! A majorly yummy scent which lasts and lasts! I've been popping this on first thing and I can still smell it on my skin at like 3/4pm! That is some staying power! My skin feels lovely and soft and I haven't seen any signs of dry skin in a long while! I've already gone and bought another bottle while it's still on offer as I think I am going to be using this alot, especially over the upcoming summer months! Oh wow! I definitely need to sniff this :) such a great price too!